September 2nd in WordPress Themes by Wordpress Jedi . 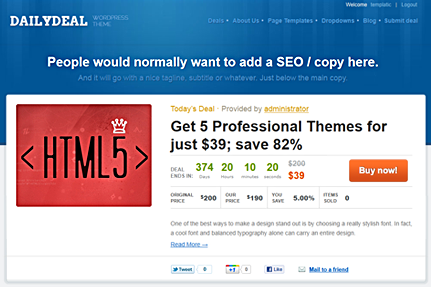 Daily Deal: a sophisticated theme that gives your visitors the chance to submit their daily deals to your website. It is useful for those of you who want to develop a Woot! like portal. Clipper: one of the best coupon themes we have tested. It is lightweight and can handle all your coupons with no trouble. It has 5 color schemes. Twitter and Facebook are integrated into it. 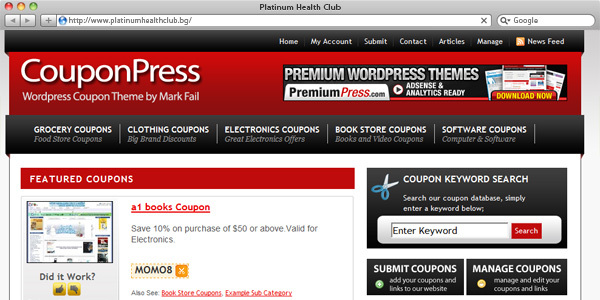 CouponPress: has one of the most powerful back-ends around. 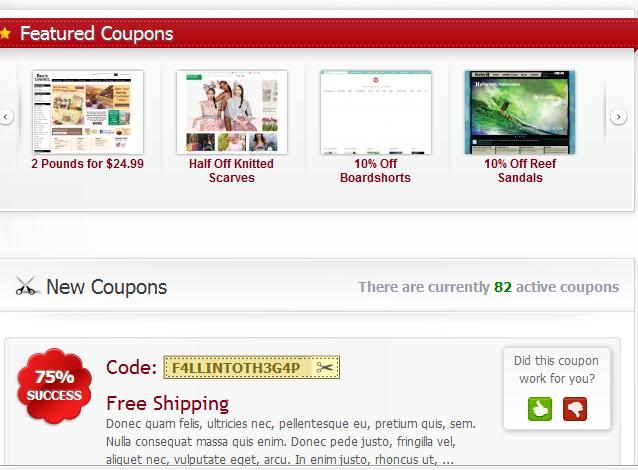 CouponPress has a ton of skins and makes adding coupons and auto-expiring them a piece of cake. It supports iCodes and ForMeToCoupon too. If you are planning to start a daily deal or coupon site using WordPress, the above themes have a lot to offer.